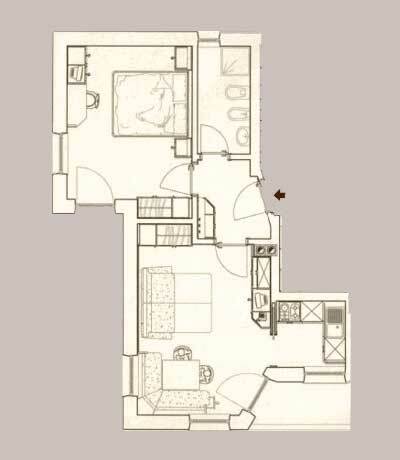 The three apartments of Ciasa Odlina in La Villa, Alta Badia, are all comfortable two-room flats, ideal for couples and families with 1-2 children. While the house's name, Odlina, means in Ladin "pine needles" and refers to the dense woods that begin right behind the house, the names of the single apartments expand the idea, inspired by the typical conifer species of Alta Badia: stone pine (Cir), larch (Lersc) and dwarf mountain pine (Barantl). The interior style can be defined as classic alpine, characterized by bespoke solid wood furniture, the fruit of skilful local craftsmanship. The tints evoke the natural colours of the surrounding mountain scenery. A special touch is added by the large windows that reveal amazing views over such picturesque sites as the ridges of Sasso di Santa Croce, Lavarella, Conturines and the rocky walls of the Gardenaccia massif. The living comfort is ensured by numerous facilities, including WI-FI, TV with satellite channels, safe, bed linen and towels with weekly change and balconies equipped with garden furniture. All kitchens are fully accessorized with electric hob, microwave oven, dishwasher, fridge with freezer compartment, toaster, electric kettle, capsule coffee machine, drip coffee maker, moka, kitchen utensils, crockery and cutlery. Fresh bread delivery for breakfast is also available upon request. Located on the first floor, Cir Apartment in La Villa, Alta Badia, features all the comfort of a well-planned and fully-equipped two-room flat. The guests will find at their disposal a double bedroom, a living room with a double sofa bed and a kitchen, that can be separated by a sliding door. The bathroom is equipped with shower, WC, bidet, hairdryer, heated towel rails and a small window. The two balconies offer spectacular views of Piz la Ila, of the Fanes Group and of the wood-covered slopes of the Gardenaccia massif. 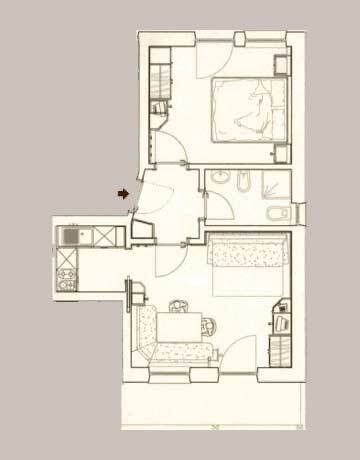 Located on the first floor, Lersc Apartment in La Villa, Alta Badia, features all the comfort of a well-planned and fully-equipped two-room flat. 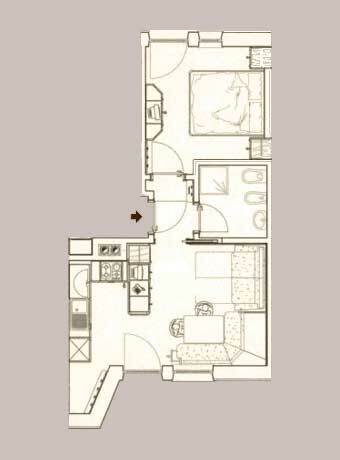 The guests will find at their disposal a double bedroom, a living room with a double sofa bed and a kitchen, that can be separated by a sliding door. The bathroom is equipped with shower, WC, bidet, hairdryer, heated towel rails and a small window. The two balconies offer spectacular views of Piz la Ila, of the Fanes Group and of the wood-covered slopes of the Gardenaccia massif. Located on the second floor, Barantl Apartment in La Villa, Alta Badia, fascinates with breath-taking views and high wood ceilings with exposed beams. The guests will find at their disposal a double bedroom, a living room with a double sofa bed and an open-plan kitchen. The bathroom is equipped with shower, WC, bidet, hairdryer, heated towel rails and a small window. The two balconies offer spectacular views of Piz la Ila, of the Fanes Group and of the wood-covered slopes of the Gardenaccia massif.